Welcome to the BYPC Online Registration Page! Click the link above "Already a customer? Click here to login ⇧"
For accuracy - Please make sure your CAPS LOCK key is OFF! Are you willing to Volunteer? Class selection is determined by your students age and Class age requirements. Some Classes require consultation for proper placement and cannot be registered online. Summer Session: Full payment is due at time of registration. Tuition is nonrefundable and non-transferable. Private lessons may not be rescheduled. School Year Session: Tuition is based upon a full school year and is prorated to your start date. There are two payment options for your yearly tuition: annual and equal monthly installments. Annual payments will receive a 2% discount and may be made by check, cash, Master Card, or Visa. Monthly installments may be made by auto debit from your checking account or from your Master Card or Visa. **Online payments may be made via auto debit by entering bank information below. For additional payment options call the BYPC office at 603-472-3894. Receipts will be emailed. Tuition payments must be paid in advance of classes or lessons. There is no charge for vacations or BYPC holidays. Tuition payments, registration fees and deposits are non-refundable/non-transferable. Summer Session: Classes/lessons cancelled due to BYPC closing due to inclement weather, teacher absence, or other emergencies will be rescheduled. Contact your instructor for rescheduling. There are no make ups for student absences. Private lessons may not be rescheduled. School Year Session: Classes/lessons cancelled due to BYPC closing due to inclement weather, teacher absence, or other emergencies will be rescheduled. Contact your instructor for rescheduling. There are no make up sessions for Creative Kids Preschool. Private music students are entitled to two make ups for student cancellations due to illness, one for each half of our school year. Private music students must complete the school year to receive the make up lessons. All private make up lessons will be scheduled during the summer sessions on a first come, first serve basis. Missed make up lessons will not be rescheduled. Students withdrawing from a program within two weeks of registering may do so with no penalty (registration fee is nonrefundable). Students withdrawing from a program after a two week trial basis must provide our office with a written/emailed four week notice. Withdrawal notices are available in our main office. All auto debits from credit cards and checking accounts will stop after the one month period. Families paying an annual tuition will be refunded remaining tuition, after the one month notice period and minus the 2% discount. If you must withdraw from a class/lesson for a limited amount of time "" your original time slot or class assignment can not be guaranteed. BYPC reserves the right to terminate services to any student without notice "" in this case tuition may be refunded. I understand the payment, refund, make up, and cancellation policies. I assume responsibility for all payment in full for services to be rendered, goods purchased, production fees, registration fees, late fees, and any or all appropriate charges. 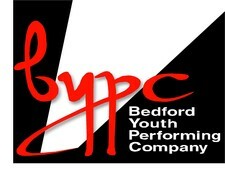 I understand that The Bedford Youth Performing Company, Inc. and the instructors are not liable for personal injuries or loss of or damage to personal property. Since dance and performance are physical activities injuries may occur. Each student may decline to participate in any activity they deem to be harmful and is responsible to inform the instructor of any physical limitations, which may prevent full participation in class. The undersigned gives permission to BYPC, its directors and operators to seek medical treatment for the participant in the event they are not able to reach a parent or guardian. I hereby declare any physical or mental restrictions, or conditions and declare the participant to be in good physical and mental health. Emergency contact information and primary doctor info have been entered above. As the legal parent or guardian, I release and hold harmless BYPC, its owners and operators from any and all liability, claims, demands, and causes of action whatsoever, arising out of or related to any loss, damage, or injury, including death, that may be sustained by the participant and/or the undersigned, while in or upon the premises or any premises under the control and supervision of BYPC, its owners and operators or in route to or from any of said premises. I understand that BYPC is equipped with a 24-hour video surveillance system to promote the safety and security of students and staff. Security cameras are installed in classrooms and entry ways throughout the building but have not been placed in private spaces such as restrooms and changing areas. Images from this system will be used only for security purposes. I give permission to BYPC and its staff to use photos and video images and audio recordings of me or my child to use for promotional and instructional purposes. I understand that images may be used in print publications, online publications, presentations, websites, social media and other promotional material created by BYPC or in the classroom. Images will appear without names unless BYPC has obtained permission. I acknowledge that I am aware that I have the option to opt out of this policy I may contact the office directly at (603) 472-3894. Requests to opt out of the policy must be submitted in writing to the main office.